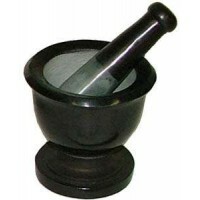 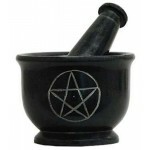 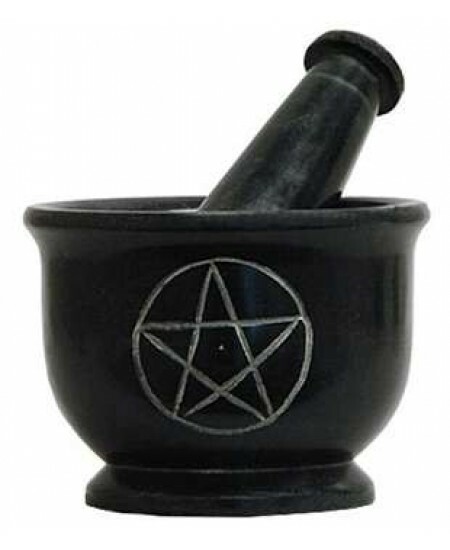 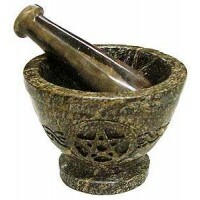 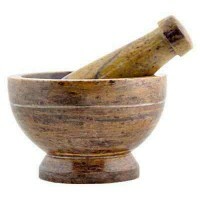 Black soapstone mortar and pestle set has etched pentacles on 3 sides. Beautifully finished with etched pentacles on three sides, the bowl is 4 x 4 inches and 3 inches deep with the matching grinding pestle. 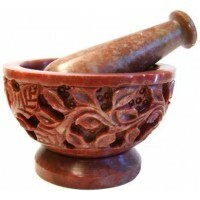 Item Number: OI-SBR519 | Approximate Size (Inches): 3.00 wide x 3.00 deep x 4.00 high | Approximate Shipping Weight: 3.00 lbs.